Ron Tonkin Toyota offers one-stop shopping for parts and accessories for the do-it-yourselfer as well as for dealer-installed products. 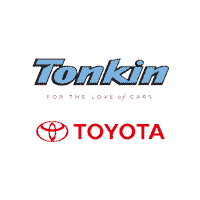 Located within our dealership, we offer a full selection of Genuine Toyota Parts and Accessories. You’ll also find brand-name car-care products at competitive prices. If you’re looking for expert technical help or how-to pamphlets, you’ll find it all…free of charge.